Where does one begin when it comes to discussions of Donald Glover? He is an incredibly talented screenwriter, comedian, actor, and musical artist, amongst his dealings in other noteworthy areas. The majority of people would identify him as the actor that played Troy on Community, but he also co-wrote a number of seasons of the television show 30 Rock with Tina Fey. In 2018, he will star as Landon in the next Star Wars film. There is nothing that he can’t do. Although they are all very different, these three mixtapes are what put Donald Glover on the map as Childish Gambino. These mixtapes features not one, but two Adele samples, and as well as a full re-work of All of the Lights by Kanye West and Real Estate by Wiz Khalifa. Collectively, these tapes provide listeners with Gambino’s origin story, and how his career as a writer prepared him for a career as a rapper. He affirms the message that being an intellectual should not take away from his ability to succeed in hip-hop. Obviously, he was right. This is the album that brought us the hit single Heartbeat and Bonfire. This is inarguably the most beloved work of Childish Gambino fans, not only as his first studio release, but as something that they could easily listen cover-to-cover. It offers a little bit of everything, including all of the wit expected from a comedian, writer, and actor. Additionally, it encompasses a larger discussion about life, love, and pursuing the Arts. One word: bangers. If you’re looking for an unreal mixtape to play at the gym, this is the one for you. It features artists such as Wu-Tang Clan’s Ghostface Killah and Danny Brown, but he also goes in on a track with his younger brother, Steve G. Lover. See what he did there? I do. This second album was released in November 2014, and featured his first international tour called the deep web tour. I had the privilege of seeing his first of the two Toronto shows in March of 2015. Gambino experienced mainstream success with singles such as Pink Toes featuring Jhene Aiko as well as the ever-so-catchy 3005. Because the Internet is very complex album and arguably his least accessible. I only say this because the understanding of the overall message is partially embedded in the 70+ page accompanying screenplay (which is very hard to find these days). Luckily, I read it back in 2014. 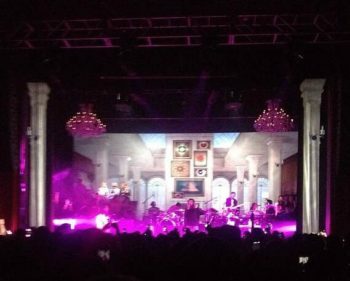 The “rich kid a**hole” that Gambino personifies both in the album and on stage is used to illustrate the collective struggle and problem of the Millennial generation. Due to the creation and perpetual evolution of the Internet, information is easily accessible, but our communication is suffering. Mistakes are forever, and feelings are fake. It is so easy to create a persona through the various social media platforms; we can be whomever we choose to be online. The consequence? Losing your true self in the process. This fun-loving mixtape came out of nowhere in 2015, to bridge the gap of silence that followed after Because the Internet and its accompany deep web tour. Childish released the mixtape for free, because he wanted it to be accessible for everyone; no purchase necessary. STN MTN/KAUAI is a two-part mixtape consisting of 18 tracks. There are a great deal of ad-lib tracks, and noteworthy features and re-works. The track that had the most impact on my listening experience is Gambino’s cover of U Don’t Have to Call by Usher. This cover was further re-worked by Mura Masa and Elhae. It features soulful vocals in the beginning, and then segues into a spoken word by Gambino (and no, I don’t mean rap). What’s next: Awaken, My Love! So far this month, two singles from his upcoming studio album Awaken, My Love! have been released. The album artwork (see feature image) is very eye-catching The tracks are both very soulful, showcasing more of Gambino’s vocal talent that initially emerged through Because the Internet. The tracks are very experimental, which in itself is a Gambino trademark. I find Me and Your Mama to be Pink Floyd-esque in nature, playing out similarly to the track Wish You Were Here on the purely formal level. 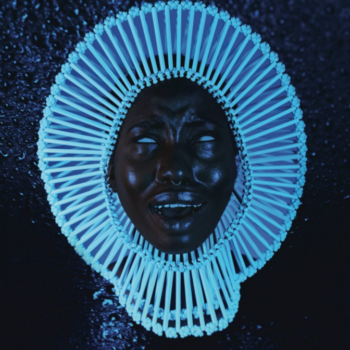 The second single, Redbone, has a vibe that is reminiscent of Lauryn Hill, primarily in terms of the vocals. The album is set to release on December 2nd of this year. I look forward to listening to and reviewing this album, as it is shaping up to be another breath of fresh air.